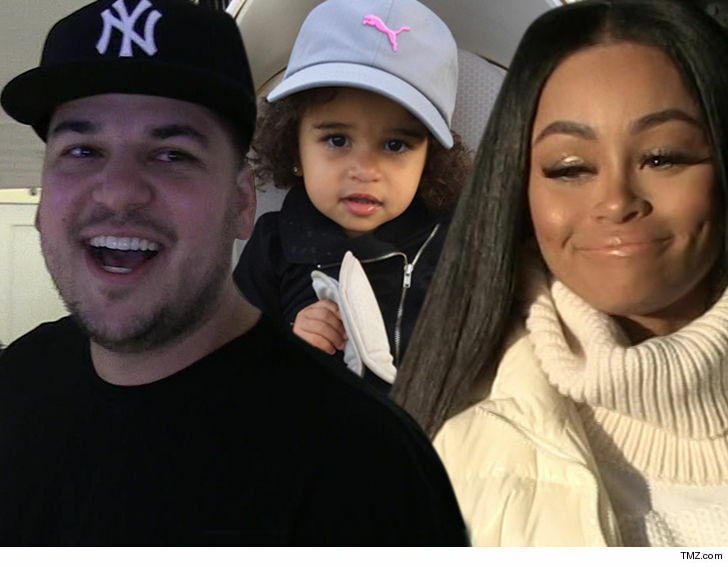 Rob Kardashian and Blac Chyna might be duking it out in court over money to care for their daughter -- but turns out there's a measure of peace behind the scenes. Sources connected to both parents tell us Rob and BC are a well-oiled co-parenting machine when it comes to baby Dream ... they've both been cooperative in creating and abiding by a fair schedule ... with zero hiccups so far. We're told the former couple manages their 50/50 split like this -- 4 days with one parent and 3 days with the other ... and they switch that up week-to-week. Sometimes there's scheduling conflict with either Chyna or Rob, but they've learned to pivot without any real drama. A big reason for their success ... nannies!!! We're told both Rob and Chyna have their own who handle all the baby hand-offs. Here's the thing ... Rob and Chyna intensely dislike each other, but they have figured out a way to wall off their feelings when it comes to their daughter. As we reported ... Rob's gone back to court asking a judge to lower his child support payments, which had been set at $20k/month. We're told Rob had planned to request the payments be chopped down from the get-go, and only agreed to the hefty child support to get Chyna to back off her domestic violence claims ... which could've hurt him. Chyna's lawyer, Lisa Bloom, tells us Rob didn't pull a fast one on anybody -- saying they fully expected him to go back to go court to lower his payments. For now, Chyna's not getting a penny from Rob. The judge put all payments on hold a few months ago until he decides what, if anything, Rob should pay her.